I just realized how brief my posts have been lately. I mean, I’ve tried really hard to post recipes, but I’ve been posting just a line or two about said recipes, and somewhere in the delusion section of my brain, I’ve convinced myself that I’ve got this huge and adoring fan base that likes to read my rambling thoughts and random useless observations. Yeah. So I feel like I’ve disappointed my fans. And by fans I obviously mean my mother and the other lady who sits in her office who like to stalk my foodgawker profile. Ahem. So I’ve disappointed you (and now we’ve established who “you” is) with my lack of writing. So I’m gonna write now. Partly because I’m on the train and reception is bad, so it’s either this or temple run, and partly because I want you folks to know that I’ve got a perfectly valid reason for posting such short posts. And yeah, that’s the same reason as every other time. Work. Stress. Sigh. Don’t you hate when real life gets in the way of blogging? Work has been in-tense. Oh, then there’s my Ami column. I can’t tell you yet what I have coming up, but put it this way: I, the gal who effortlessly makes up two new cookie recipes in one night (ego alert) am finding it super challenging. I’m excited for my deadline to pass, so I can start stressing about other things. Like writing long and drawn our rants on this blog, and refreshing the stats every five minutes to convince myself that people are reading it. Well that wasn’t a hint at all. Enough about my stress. Wanna know what isn’t stressful? These cookies. Yep, they’re non only dubbed the best honey cookies ever (not by me, but by the sibling who begged for more as I snuck them into the freezer for Rosh Hashanah) but they are So. Easy. To. Make. I totally fooled you, didn’t I? I know, that glaze makes it look like you labored over these for pretty much forever, but that’s not it at all. Nope, just scoop the dough and bake them. Then dip in the glaze and smile as you accept your compliments. Or you can just leave the glaze off. Either way, make these. You’ll reach for a second, guaranteed. In the bowl of an electric mixer, cream together butter and sugar until combined. Add honey, egg and vanilla, and beat until combined. In a separate bowl, whisk together the flour, baking soda, cinnamon and salt. Stir into wet ingredients until just combined, be careful not to overmix. Using a medium or tablespoon cookie scoop, drop dough onto prepared trays. Bake at 350 for 10-11 minutes. Leave cookies to cool on tray for one minute before removing to wire rack to cool completely. Combine all of the ingredients in a small bowl. Add the water slowly, only adding as much as needed. Dip the cooled cookies in the glaze and set aside to set. Just found you on twitter and I think you and your blogs are adorable. Gonna try your apple tarts and honey cookies soon. Keep ’em coming and Shana Tova to u! Psh. Glaze is always a good choice. Add me to the list of readers 🙂 Love easy recipes that look complicated! Now, I’m sure more people follow you than that! Short posts are sometimes necessary and there’s nothing wrong with them. Sometimes long posts are daunting to the reader! 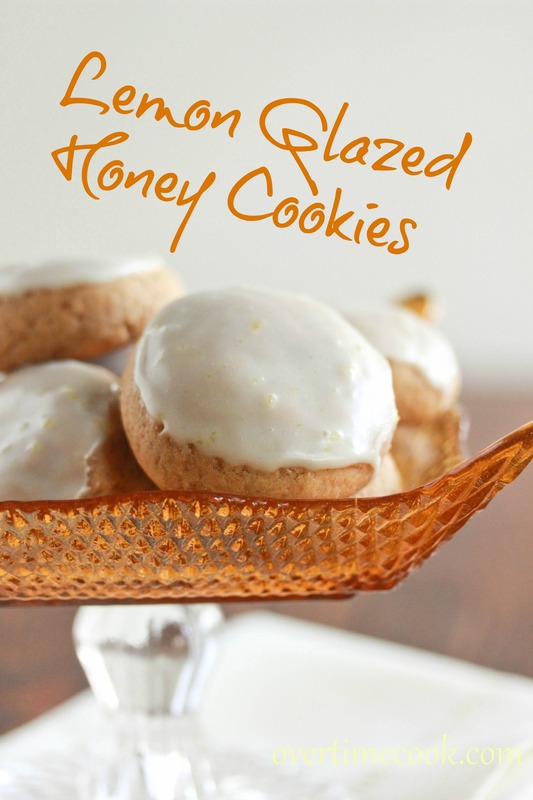 These cookies look delicious, particularly since I’m currently on a honey kick! You can but I really recommend it- the zest adds the most amazing fresh lemony flavor. Lovely! Will the cookies freeze well with the icing? 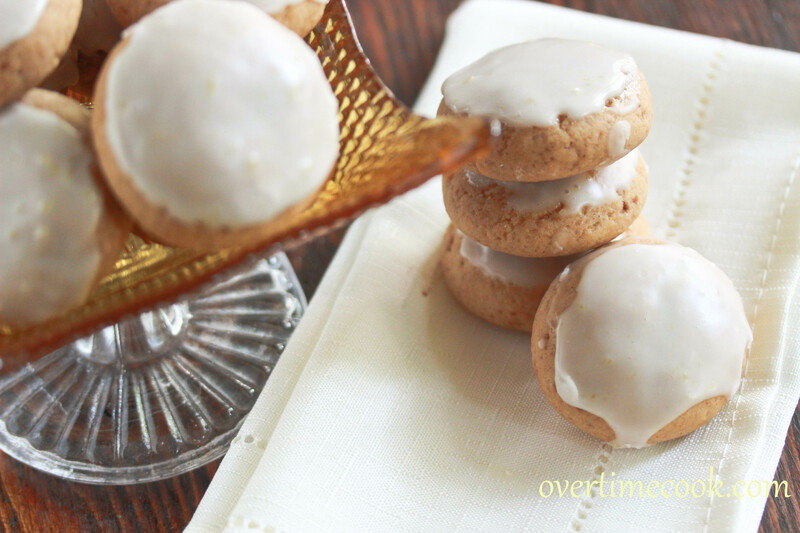 Honey cookies are one of my favorites! I think I’ll cover them in cinnamon icing this year. Thanks for the inspiration! Hey what cinnamon icing will u be making? I hope that deadline comes quickly and that you are ready for it. 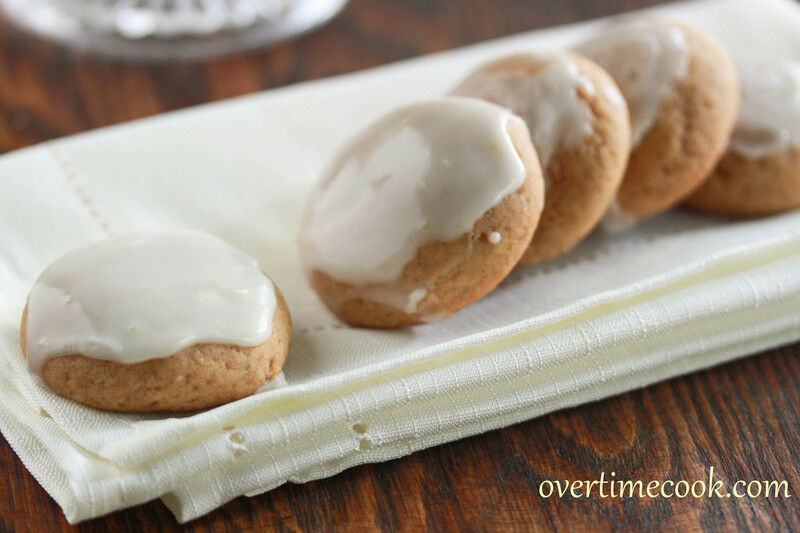 Love this cookie recipe and your glaze looks silky delicious. Funny, a long time ago someone told me to make blog posts shorter and get to the recipes quickly! Anyway, I like the idea of cutting honey’s sweet with tangy lemon. Wonderful! I love this cake so much! Thank you for your posting! could these be made in muffins? Rather my my honey cupcakes! These are awesome just made them!! Should I freeze them if they won’t be eaten for another 2 days or keep out? Thanks!! Freeze with or without icing? What can I use for the glaze if I don’t have confectionary sugar? Those r the best honey cookies ever!!! just wanna say these are my favorite honey cookies. every year I look forward to making them! how many cookies does this recipe make? also, does the butter/margarine have to be melted? I made these with oil ! Is that why they came out kinda flat??? Probably…once you make any changes to the recipe, the results are likely to change.